Welcome to our Dance Studio Without Walls — New Classes Every Week! No matter where you live, you can join our dance studio family and become a “virtual student”. 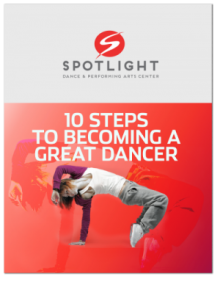 Download our 10 Steps To Becoming a Great Dancer! Enter your email address and we will immediately email you this helpful dance guide. Download your FREE 10 Step Dance Guide Now!